Now in its fourth evolution, we can confidently say that Project Botanicals just gets better and better! 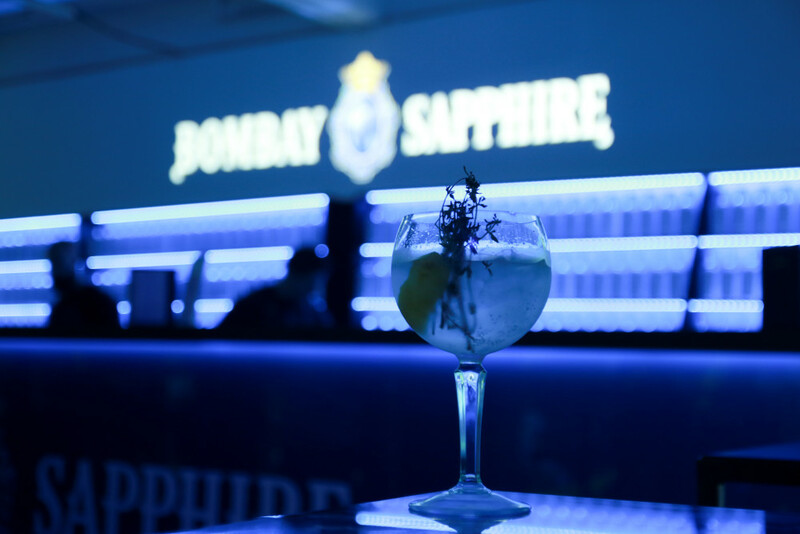 What’s become an annual must-attend event for gin aficionados; Project Botanicals pays homage to the ten botanicals in Bombay Sapphire. 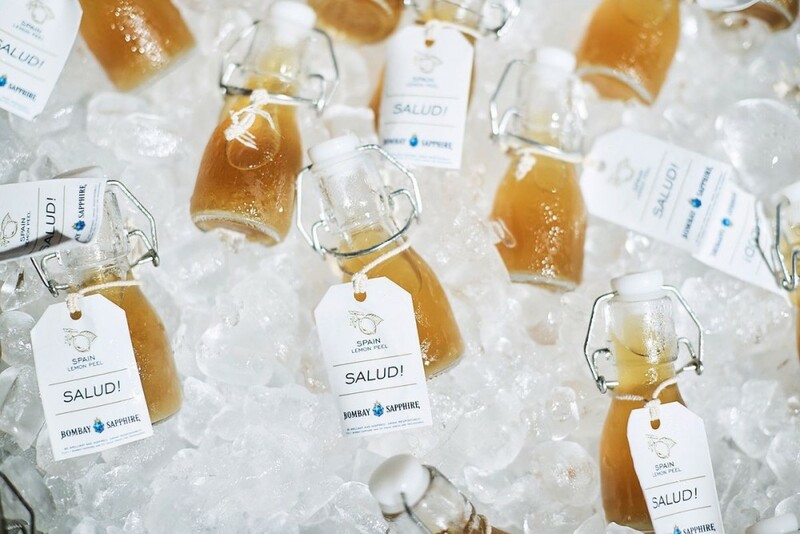 Collaborating with cocktail bars, the brand showcases its botanicals in foodie delights. The avant-garde dining concept features cocktail and food pairings that express individual botanicals in the Premium London Dry Gin. 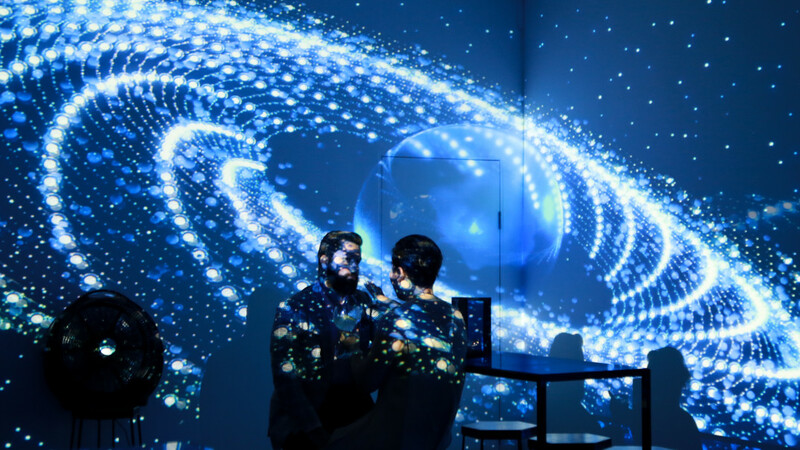 This year’s sold out event is an interactive journey that enables guests to move between installations, contrasting the à la carte format of the previous three Project Botanicals. 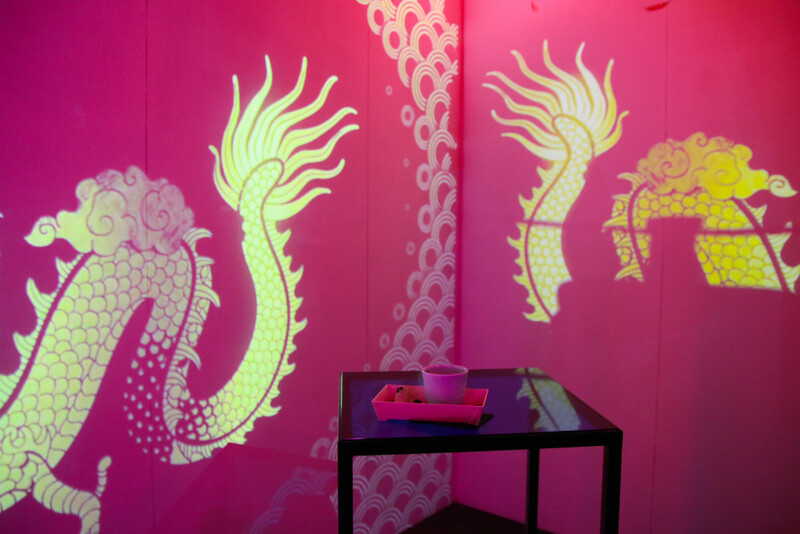 Audio/visual artists Sam Price, Ta-Ku and Jo Burzynska have created a 360 degree installation, which wraps around a bar serving G&Ts, garnished with either ginger and mint or thyme and lemon zest. Layers of lights and sounds interact to play with perceptions. 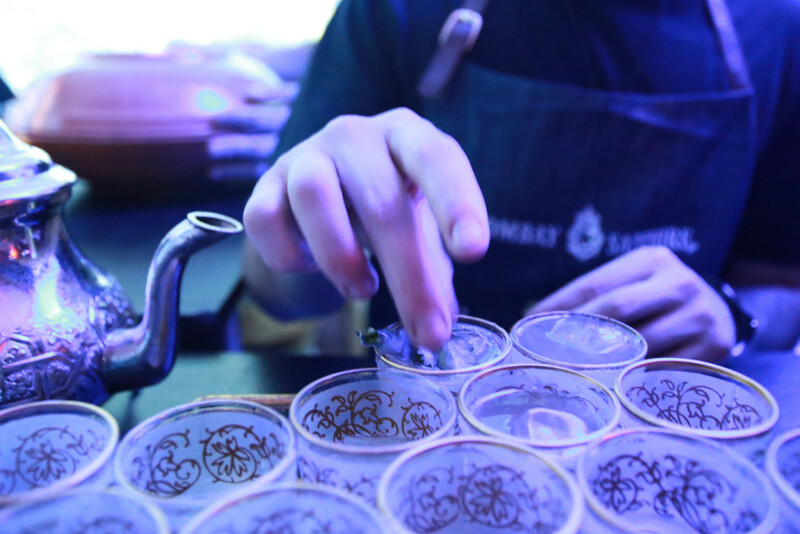 Bringing the geographical origins of the botanicals to life through sight, sound and taste, guests journey to Java, Morocco, Spain and China. Studio Neon’s Aaron Teece worked with cocktail bars, Mjolner, The Barber Shop, Union Electric and Bar Moncur, to develop botanical inspired, culinary creations at the four destinations. Java’s cubeb berry is the star ingredient in The Barber Shop’s jungle inspired Sundara cocktail, which features Bombay Sapphire, honeydew melon, orgeat syrup and banana syrup with a cubeb berry dusting. The drink is paired with smoky, chargrilled chicken satays topped with peppery fairy floss. Melbourne bar, Union Electric, takes Bombay’s coriander seed to create the Moroccan Tea Fizz cocktail, complimenting Bombay Sapphire with apricot, lime juice and coriander syrup. Tastebuds are further tantalised with lamb tagine on a bed of cous cous with coriander yogurt foam. In a surprising twist, liquorice root is used in duck pancakes to match the Jasmine Bloom cocktail for a Chinese inspired pairing. Bar Moncur combines Bombay Sapphire with liquorice root, mandarin juice, jasmine tea, lemon verbena leaves, lemon juice, dandelion and burdock bitters. To finish off with something sweet, Mjolner takes the lemon verbena for a Salute to its origin Spain. The bottled cocktail is a tart mix of Bombay Sapphire, Averna, lemon juice, cucumber juice and honey syrup, which cuts through the sweetness of a lemon cheesecake desert in the shape of a miniature lemon, handpicked from a verdant grove. Not to be forgotten, other popular botanicals in the famous gin include Juniper Berries from Tuscany, Cassia Bark from Indo‑China, Angelica from Saxony, Almonds from Spain, Grains of Paradise from West Africa, and Orris from Italy. 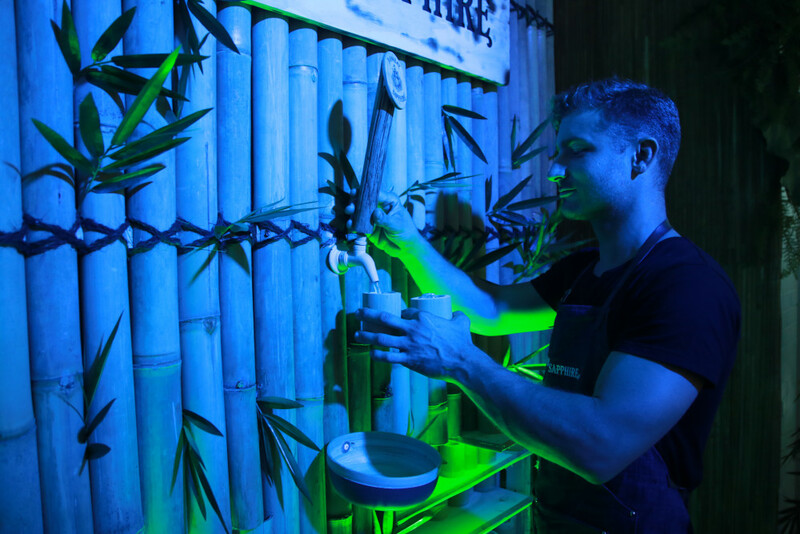 Bombay Sapphire’s 2017 Project Botanicals will run for the next four nights (23-26 Nov) at a Melbourne CBD venue after a successful Sydney launch.